Additional Info: Terry Ferster holds a B.Ed from the University of Calgary and is a certified Alberta teacher having taught full time for 36 years. Six years into a wonderful retirement, he is joined with his loving partner Ruth to own and operate R and T Music Studio and Luthier Services in Red Deer, Alberta, Canada. In addition to his teaching credentials, Terry, in the early 1980's, earned a Master Diploma in gunsmithing, metal and wood applications from Scottsdale, Arizona. Having been a string instrument musician all his life, Terry applied all his advanced shop skills to learning additional techniques, processes and skills to specialize in bowed instrument set up and repair. With his well appointed shop complete with metal lathe, milling machine and various other specialized tools, jigs and fittings, Terry excels in violin, viola, cello and stand up bass set up and repair. Terry and Ruth maintain over 50 students of violin, cello, piano and most fretted instruments including classic guitar, banjo, mandolin, Irish Bouzouki, Mandolin Cello and ukulele. With so many of Ruth's students learning violin and cello, Terry's luthier business remains consistently busy. Terry also greatly enjoys teaching cello and stand up bass as well as various fretted instruments. 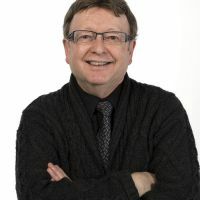 Terry also owns and operates Irish Mouse Music Events sponsoring fine home dinner concerts with musicians from Across Canada and the United States, Europe, Australia and New Zealand. Terry and Ruth can be reached at < irishmouse@email.com >. Terry recommends half hour lessons for young children and full one hour lessons, once per week, for older students and adults.